One of the largest private yachts in the world M.Y. Le Grand Bleu has just arrived in Phuket, at 104 m (341 ft) in length this floating palace offers a luxurious solution to explore the reqion. Le Grand Bleu carries an array of toys and tenders onboard facilitating watersports, diving, jetskiing exploring beaching and even sailing. Le Grand Bleu was built in Bremen, Germany, and launched in 2000. It was designed by Stefano Pastrovich and constructed by Kusch Yachts. 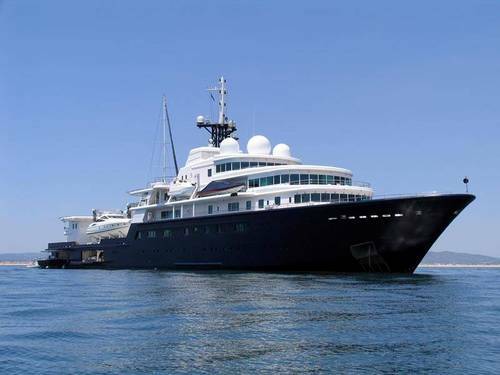 It was originally built for John McCaw, Jr., an American businessman, who sold her to Russian businessman Roman Abramovich in 2002. Abramovich later had it refitted to his own preferences and then in 2006, gave the yacht to his friend and business partner Eugene Shvidler. Le Grand Bleu is powered by two 4,570 bhp Deutz engines, is capable of cruising at a speed of 15.7 knots and even carries a 60ft Sunseeker predator and a 70ft custom built Dubois sailing yacht. 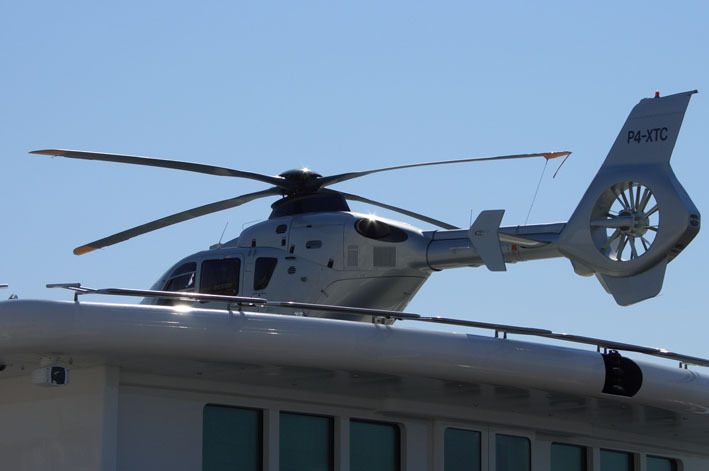 The yacht requires a crew of 65 to keep it running and attend to the guests comfort. Up to 20 guests can be accommodated in the 10 deluxe cabins all fitted out to the highest quality.